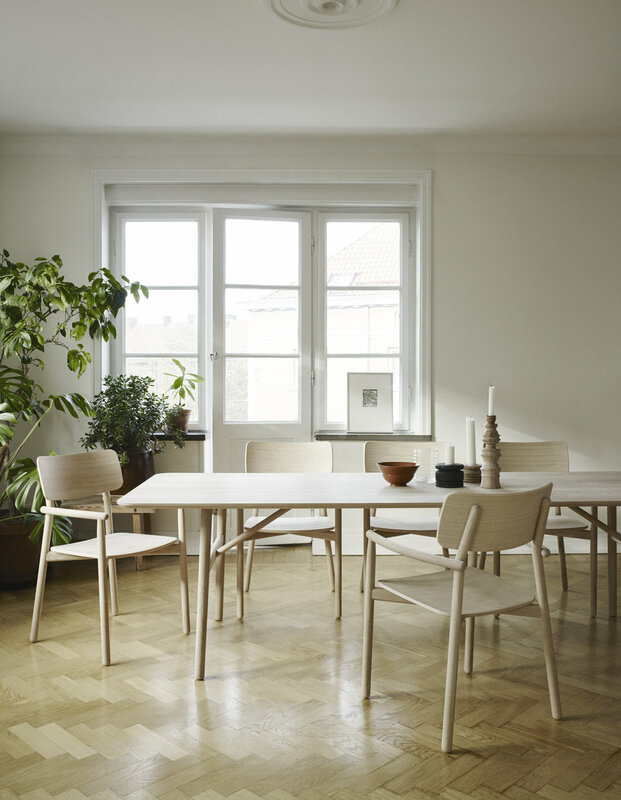 Danish Skagerak just launched a new series of armchairs and tables designed to make you want to invite your family and friends over a little more often. Hven is a light series with simple expressions, built with high comfort and for the long term, with regard to aesthetics, functionality and environment. In Öresund, a narrow strait separating Denmark and Sweden, the island of Hven shoots up from the sea with its beautiful and steep shoreline, peculiar nature and rich history of cultivation and scientific achievements. Hven once belonged to the Danish Kingdom, but has now been Swedish soil for more than 350 years. Today, the Island has become a cultural and recreational hub, connecting the Danes and the Swedes across the strait. Just like the island, the Hven Series designed by Swedish Anton Björsing also creates strong ties between Sweden and Denmark and manages to bring people closer together. "I want to create products that people care about and don't see as a utility object but as something that has value and isn't just discarded after use, and which they want to preserve for a long-term relationship,” says Anton about his design philosophy. Skagerak says that people’s settings at home is of great importance in how they engage in social activities. To Ditte Buus Nielsen, Design Director at Skagerak, this is an important aspect to consider when developing new designs. “When you invite your friends over for dinner for example, you want to make sure they sit comfortably, that there is enough space for everyone, and that your house seems welcoming. The new Hven Series ensures all these things,” Ditte says and adds that the series persuades you to sit a little longer, eat a little better, talk a little more and laugh a little louder.